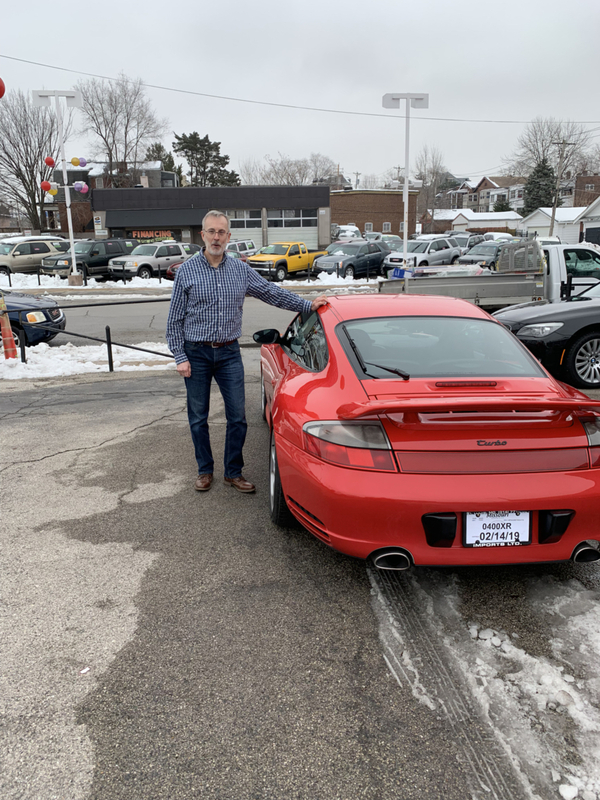 i have been reading these forums and researching the 996 for about a year and finally pulled the trigger a couple weeks ago. Living in Minnesota there are not many of these around. In the past year I have seen fewer than 6 996’s on the market. I have been watching Craigslist, CarGurus, autotrader, Autolist and other sites. While i could have purchased something in CA, FL of the East coast, there hasn’t been much in the Midwest. My search has been Ora C4S with a manual transmission, black interior and pretty much any color other than silver. I didn’t realize how much of a challenge that would be. Two weeks ago a guards red car showed up in St Louis. That is a 9 hour drive for me. I called right away and put money down on it and 5 days later I was the lucky new owner of a 2003 C4S. I don’t have a stack of receipts, but the original owner appears to have been a PCA member from PA. The first 8.5 years and 63k miles was during the original ownership. The CARFAX was one of the longest CARFAX’s that i’ve ever seen. It was clear that this owner took great care of the car. I would like to thank the Rennlist community having learned so much about these cars over the past year. 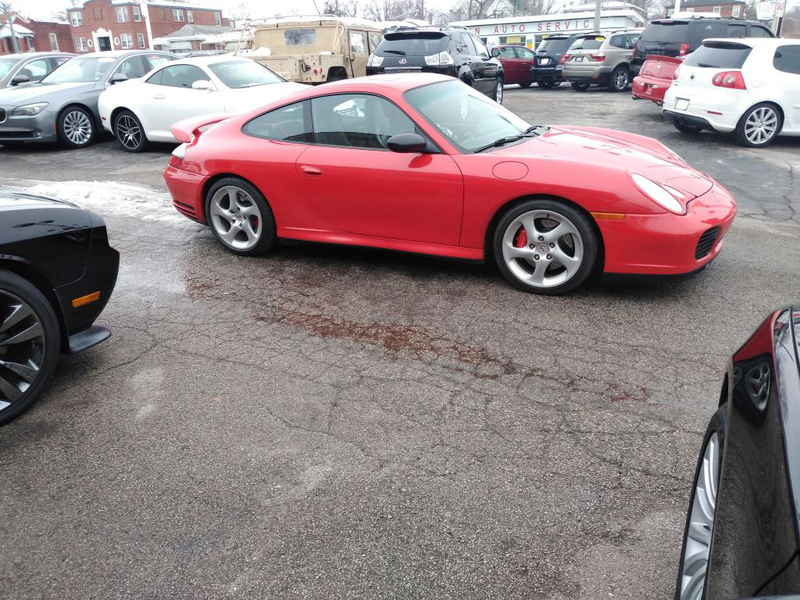 Here is me driving off in my new to me C4S. Nice. I'm new to the club, too. Love these cars in red. Congrats! I’m surprised you couldn’t find one in Chicago? I didn’t specially check craigslist Chicago very often, but did see a few tips, but not many manuals. I did miss out on a seal grey one in December though. I wasn’t quick enough. It sold in less than a week. Gorgeous car, congrats! I did the same thing in my research, and did the exact same thing about a 1.5yr ago and bought a 2003 c4s out of St. Louis and drove it home to Nashville (not a lot of these around here either!). Congrats and welcome to the club! would love to see more pics and some info on the rear spoiler, looks great! Love it, looks great, drive it the way it was meant to be! I’m not sure about the headlight mod yet. I think l’m going to leave them on for now. The turbo script is definitely wrong though. Otherwise it’s a gorgeous car! You win! Proper color as well. Definitely remove the "turbo" script. At least that's what I've currently done. I've also had Carrera and 911 on the back of mine. Those headlight covers are not my favorite; but they look like they match well, so they're not too bad. I think they're the best matching ones I've seen before, at least from what I can see. Headlights can sometimes be picked up cheaply from eBay, so grab a second pair and change the look of your car when you want. I normally have round headlights though. Someone at work thought I had two 911s because I back into my spot and I don't always have the lip spoiler or round headlights. They also saw it without the taco spoiler. Let's see a shot from the front.